Barely one week after confirming that Moses Morgan was released by the Mono Vampire Basketball Club, rumors are that Morgan is now back with the club once again. 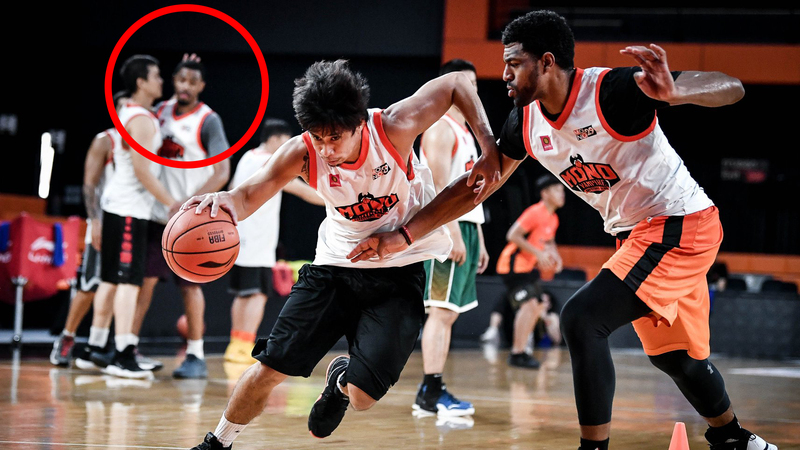 Shortly after a devastating blowout to the Saigon Heat on January 6, Moses Morgan was released by the Mono Vampire Basketball Club (later confirmed after their following game against CLS Knights Indonesia on January 9 which Morgan was not present). Now after two games without Morgan, speculation is surfacing that Morgan has now returned to be with the team once again. A recent photo from a practice session posted on the team’s official facebook fan page shows Morgan in the background in team uniform practicing with the team. Multiple sources have confirmed the re-signing, though there has not been an official announcement from the team. A certain source also mentioned that even though Morgan is back with the team, he will still have to go through a specific trial period before getting back into the line up. The Mono Vampire have not yet been contacted for confirmation of the situation and hopefully there will be an update before or after their game against the Westports Malaysia Dragons today at 6:30 PM (local time). Over 8 games this season, Morgan averaged 10.8 points, 5.5 rebounds, and 1.2 assists. In his 4 seasons in the ABL, Morgan normed 15.1 points, 5.9 rebounds, and 2.0 assists. The Mono Vampire Basketball Club are currently at 9th place this season with a 2-8 record. They are 1-1 without Morgan in the past two games.